Want to blast away mega calories this summer? Jump into your pool and pump out a few water workouts! Because of the extra resistance that water provides, aqua-based athletics are an awesome way to tone your muscles without jarring your joints. Plus, there is no better way to beat the heat than chilling in a pool. So grab your suit and towel and try these body shaping aquatic moves. for 30 minutes. Move your legs using the same motions you would for land-based exercise. 30 seconds, then repeat five times total. Celebs like Julia Roberts get their perfect physiques through water-based moves like jumping jacks. But you won’t need a celebrity trainer to try these at home or at your local public pool. Stand in chest-deep water and do 25 jumping jacks as you would on land; rest, then repeat. To maximize the challenge to your muscles, don’t raise your arms above the water’s surface. This increases the resistance, giving you an even better workout. Who says stability balls have to stay on land? 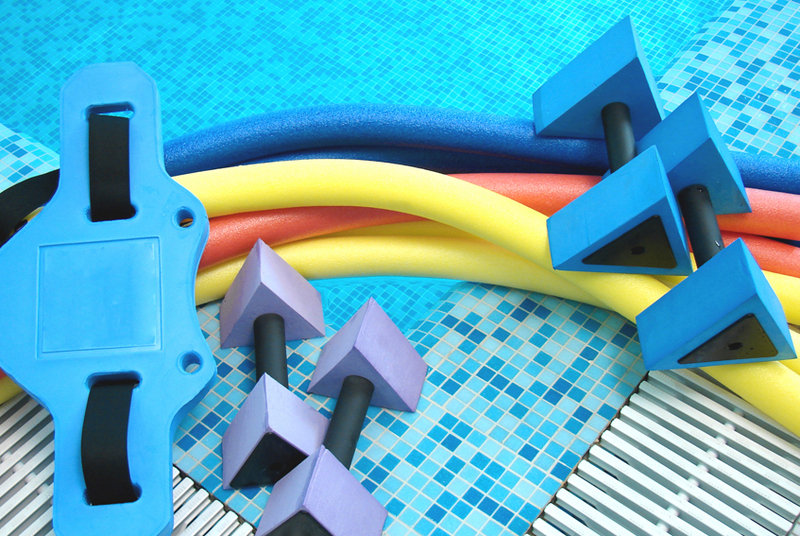 Take yours into the pool for a killer core workout. in the air (you can also try this with a kickboard). Continue for a set of 25 repetitions, rest, then repeat the set. The motion of pulling the ball down then catching it will not only work your core muscles, it will also tone your arms and give you a nice cardio session while you run around the pool. choose to do, your pool workouts will give you a full-body workout that will shred calories, strengthen and tone your muscles, boost your core strength and improve your cardiovascular health.